It is important that you know which oil you are using for cooking. Because not only does it add flavor, but it impacts your health as well. Studies have shown how the quality of your cooking oil can determine your overall long-term health. And neglecting the same might subject you to certain unpleasant health conditions. Talking about that, rice bran cooking oil has gained some popularity in the recent times. And in this post, we focus on what caused that popularity – the benefits. What Is Rice Bran Oil? How Is It Good For You? What Are The Benefits Of Rice Bran Oil? 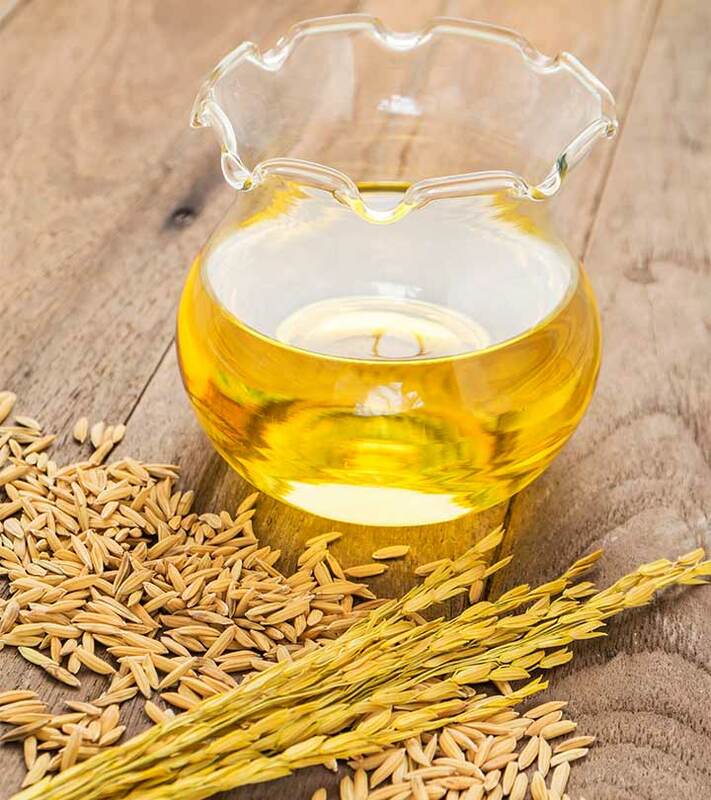 What Is The Nutritional Profile Of Rice Bran Oil? Any Other Uses Of Rice Bran Oil? What Are The Side Effects of Rice Bran Oil? This is the oil extracted from the rice husk, or the hard outer brown layer of rice. Rice bran oil has a high smoke point (450o F) and is quite suitable for dishes involving high temperatures. 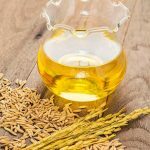 The goodness of rice bran oil comes from its components – it contains y-oryzanol, a potent antioxidant, and other organic chemical compounds like tocopherols and tocotrienols, which have properties of vitamin E. Most of the benefits of this oil come from these compounds, which is what we will discuss now. Also known as a heart-friendly oil, it can lower cholesterol levels – thanks to the optimum levels of oryzanol. In fact, this antioxidant reduces cholesterol absorption and increases cholesterol elimination. This oil also has the best combination of monounsaturated, polyunsaturated, and saturated fats amongst all vegetable oils. One Iranian study states that taking rice bran oil as part of a healthy diet can cut the risk of cardiovascular disease (1). In another interesting study, we find that it is rice bran oil, and not fiber, that has more effects on cholesterol reduction (2). In one study, rice bran oil was found to lower blood sugar levels by as much as 30% (3). Certain sources even tout rice bran oil as the most nutritious food on the planet. As it has the ability to lower cholesterol levels, it can aid weight loss. It is also rich in natural antioxidants (like oryzanol) that boost metabolism and contribute to healthy weight loss. Using rice bran oil topically has its benefits. It evens out the skin tone and reduces dark spots. It also helps treat the puffiness around eyes. The moisturizing properties of rice bran oil help treat dry skin and eczema. Other dry skin conditions like dermatitis, rosacea, and even rashes can be treated with rice bran oil. The oil contains oleic and linoleic acids in a balanced ratio, and this can help treat acne. This is because acne-prone skin is usually deficient in linoleic acid. The oil also contains palmitic acid, another essential fatty acid for healthy skin. This can be attributed to the presence of squalene in the oil, which tightens skin and boosts skin health. As a consequence, it slows down wrinkle formation and delays skin aging due to its natural moisturizing action. Rice bran oil contains inositol, a carbohydrate compound that prevents dandruff and reduces split ends. It also promotes hair health. The oil contains omega-3 and omega-6 fatty acids (though omega-3 is only in small amounts) that help prevent premature graying of hair. Studies show that linoleic acid and oryzanol also boost hair growth and strengthen your tresses (4). These are the ways rice bran oil can keep you healthier. But there is something else we need to know – the many other nutrients in the oil that do the job well. There are other ways you can use rice bran oil. Rice bran oil is particularly effective in high-heat cooking, given it has a high smoke point. You can use it while stir-frying or sautéing. It also has a light flavor and a clean texture – and doesn’t overpower the food. Another interesting use of rice bran oil is in the soapmaking process. It is made with a combination of rice bran oil and other oils, along with organic shea butter and sodium hydroxide. You also add distilled water. Sounds cool, doesn’t it? But wait – not everything is rosy about this oil. There is a shady side to it as well. Though safe in normal amounts, we aren’t sure if the oil can be taken in larger amounts during pregnancy and breastfeeding. Hence, stay safe and take the oil in moderation after consulting your doctor. In case you have digestive tract issues like ulcers, indigestion, or any other type of digestive issue – stay away from the oil. The fiber from the rice bran might block your digestive tract and cause complications. We are not sure if the same is the case with the oil as well. So, stay safe and avoid use. The benefits sure show us how rice bran oil can positively impact our long-term health. You should probably figure out new ways to include this oil in your diet! Let us know your thoughts by commenting in the box below. Cheers! 1. 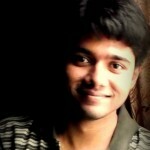 “Effect of low calorie diet with…”. US National Library of Medicine. 2. “Rice bran oil, not fiber…”. US National Library of Medicine. 3. 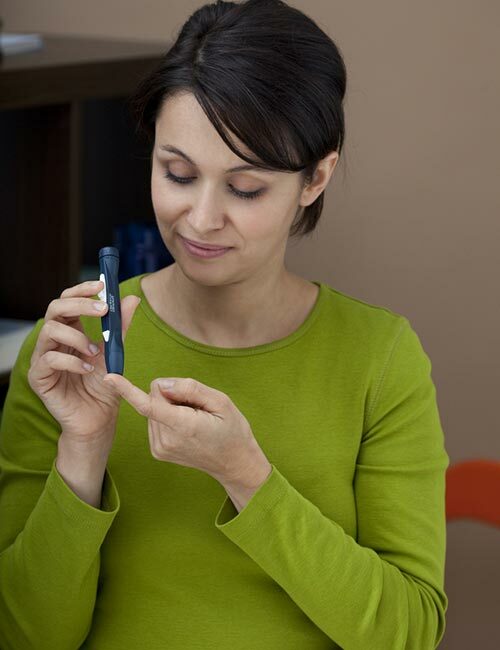 “Rice bran lowers diabetic blood sugar”. WebMD. 4. “In vivo hair growth…”. US National Library of Medicine.